The Dodgers got a quality return at the deadline with outfielder Josh Reddick and starting pitcher Rich Hill, but they also paid a steep price in right-handed pitchers Grant Holmes, Frankie Montas, and Jharel Cotton. The Dodgers acquire OF Josh Reddick and LHP Rich Hill from @Athletics for minor-league RHP Jharel Cotton, Grant Holmes and Frankie Montas. Josh Reddick is a 29-year-old impending free agent outfielder making $6.6 million this year, and he’s put up a .296/.368/.449/.816 line on the season. Reddick has walked in 10.3% of his plate appearances, but most importantly to the Dodgers he’s only struck out in 12.5% of them, and I think a solid mix of contact and pop is what the Dodgers were looking for, especially for everybody complaining about a lack of productive outs and situational hitting. Defensively, he formerly put up Gold Glove numbers in right field, but the last two years has fallen back to about average. He fits in as a quality starter that arguably instantly becomes the Dodgers best outfielder, and should provide them with a consistent option in right or left field against right-handed pitching (definitely a platoon option here). Also, this kind of stuff can’t hurt. Doolittle on Reddick (cont) "The way he plays, his emotion and intensity, that was the identity of our team, especially in 2012-13-14." Rich Hill is a 36-year-old impending free agent left-handed starter making $6 million in 2016, and he has a 2.25 ERA, 2.51 FIP, and 2.75 DRA. Yes, he has only thrown 76 innings this year. Yes, he is currently on the disabled list with a blister. Yes, Hill has been elite when healthy. You want to talk about risk? This is one, but the upside is blatantly obvious. Of course, if Hill didn’t have risk, the Dodgers wouldn’t be able to acquire him for a package this light, and this was the best way the Dodgers could get a second ace for a reasonable price. Again, more kind words from teammates. Doolittle on Rich Hill: "he's one of the best teammates I've ever had; the passion, the work ethic, more energy than guys 10 years younger." Grant Holmes is 20-year-old right-handed pitcher and consensus top 10 prospect in the system. Most see him as a potential mid-rotation starter or a back-end reliever, and he has a 4.02 ERA in 105.1 innings this year in high-A. He’s probably the prize of this haul because of his rotation upside, but personally I’ve grown concerned with his inability of his command to progress and I’m sort of skeptical about what his floor could be. That said, progress isn’t linear, and if it clicks for him at any point, I can definitely see him being a quality rotation option. Frankie Montas is a 23-year-old right-handed pitcher and a consensus top 15 prospect in the system. Known for touching triple digits with his fastball, most see Montas as a back-end reliever and a potential closer. Between AA and AAA this year as both a starter and a reliever, he put up a 2.25 ERA in 16 innings, striking out 22 and walking just three. However, as Dodgers fans know by now, he has been limited this year due to multiple rib injuries that have required surgery, so his future is a bit up in the air. For me, Montas is the most likely to make a quality MLB contribution, but that hurt could slightly be mitigated by his relief profile. Jharel Cotton is a 24-year-old right-handed pitcher and consensus top 15 prospect in the system. Most see him as a back-end starter or a potential back-end reliever due to his fastball and changeup being quality but the third pitch lacking. In AAA this year, Cotton has a 4.90 ERA in 97.1 innings with 119 strikeouts and 32 walks. Cotton will likely end up in relief eventually, but his changeup is devastating when I’ve seen it and I can see him doing well in the bullpen. As you can see, the prospect cost for the two rentals acquired was quite high, but I think this works out for both sides. I would’ve loved the trade if it was just two of the three named, but looking at the market I doubt the Dodgers could’ve gotten two quality players in return had it not been a bit painful. If you are very mad about trading these prospects, the Dodgers were never gonna get anybody good in a trade is all. 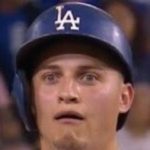 In the end, the Dodgers traded from depth, avoided dealing all of their best prospects, and ended up filling two gaping holes on their 2016 roster, while the A’s got two nearly-ready arms and one potential rotation arm for two impending free agents they were set to lose anyway. It’s not the kind of trade fans will be thrilled about or something fans can pound their chests over, but it just makes sense. I’m cautiously optimistic about this deal, especially in the context of how the current season has played out thus far and the team’s needs.